Meteor & Tatler Award winner singer songwriter Luan Parle has had numerous hits & accolades. Luan wanted a website that she controlled that allowed her to promote her touring, albums and social media profiles all in the one place. The website is promoting Luan Parle as an artist so we went with a large hero imageof Luan from her promo materials. Latest video and a song player were also included above the fold to make sure that visitors could easily find Luan’s sound. 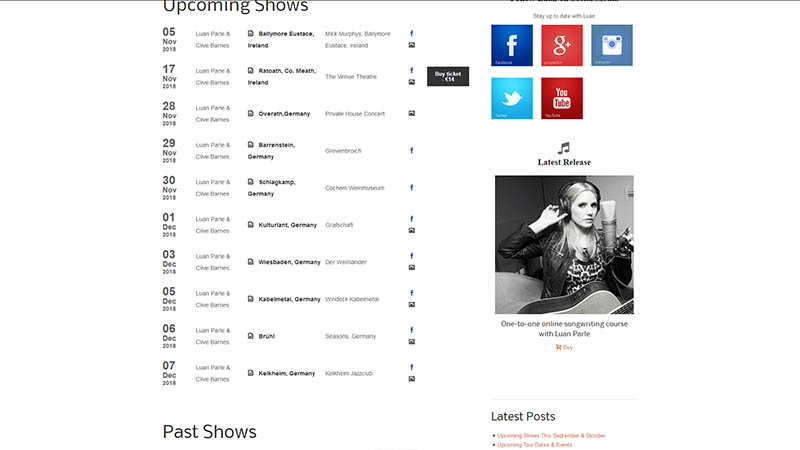 Luan’s instagram and fashion & lifestyle blog are prominent under the fold and her tour dates and shop feature on the sidebar with links to buying tickets or albums.